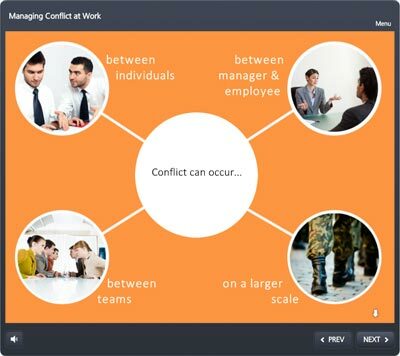 Conflict is inevitable. 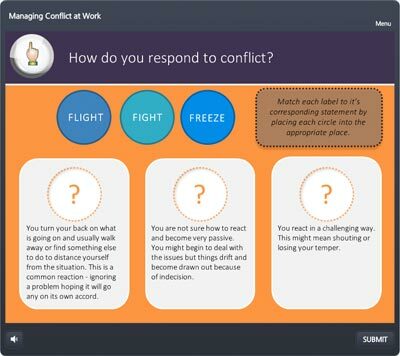 Recognising and managing conflict well is fundamental to the healthy functioning of work relationships, team and organisational performance. 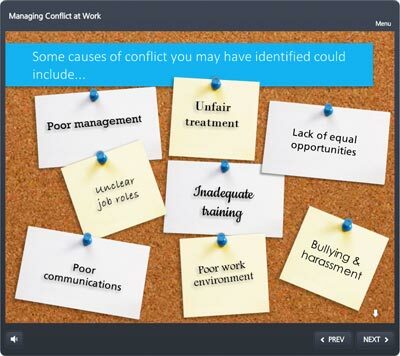 This module looks at understanding conflict and the important skills and knowledge that a manager needs to resolve conflict situations in the workplace. 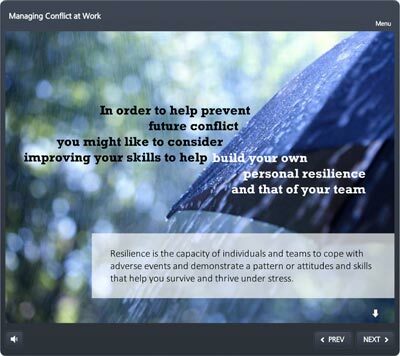 In order to help prevent future conflict you might like to consider improving your skills to help build your own personal resilience in that of your team. 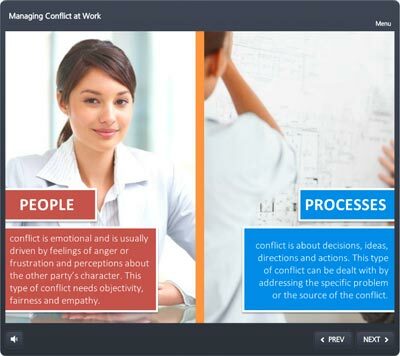 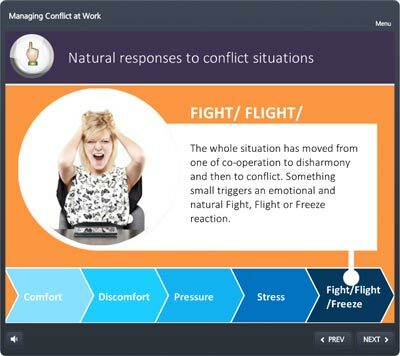 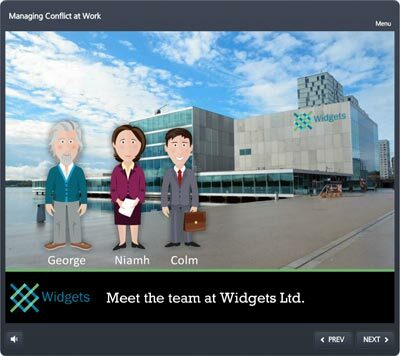 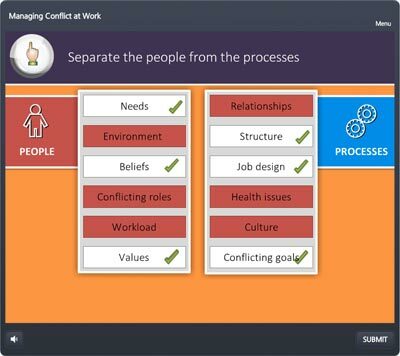 Conflict Management is also available for organisations to host on their existing learning management system (LMS). 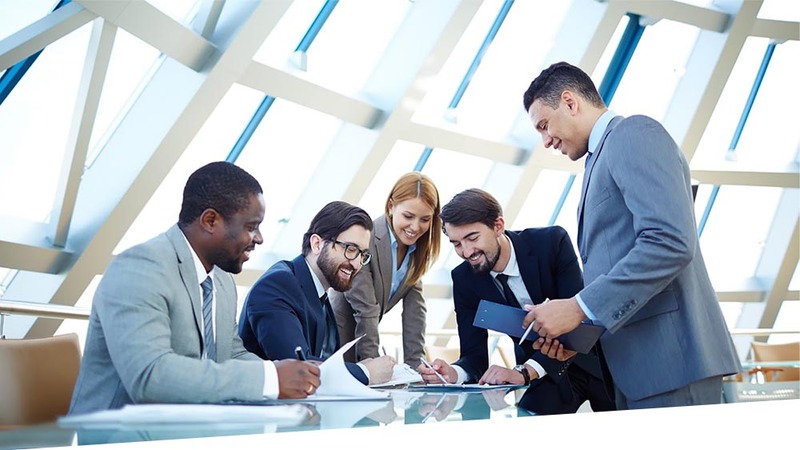 Our flexible pricing structure makes it suitable for both large and small organisations.